The second seed earned a bye during the Round of 16. 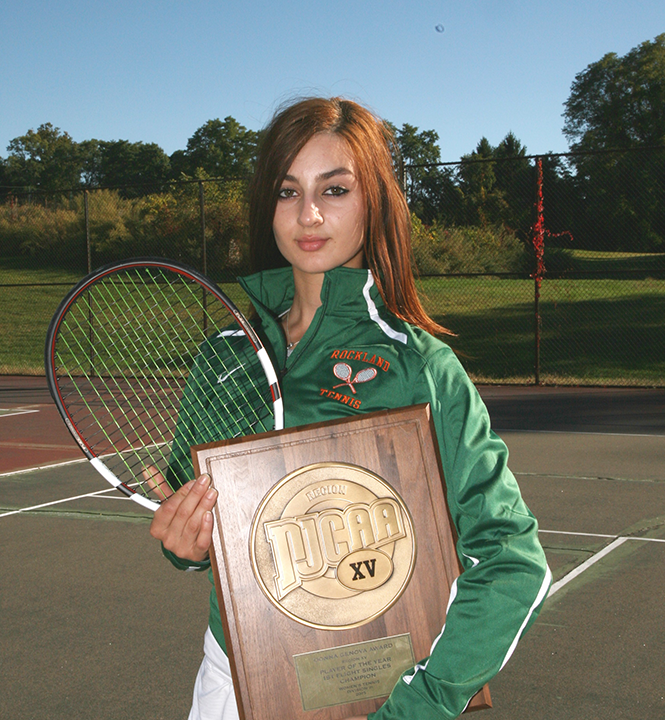 Arakelyan defeated Maria Mott of SUNY Broome 6-2, 6-0 in the quarterfinal round and faced Region XV tournament opponent Spenser Corson of FIT. Arakelyan defeated Corson in straight set, 6-0, 6-1 to advance to the championship match against top-seed Hayley Keats of Oxford Emory. The championship will be held this Saturday, October 24 at 11:00 AM. In First Flight Doubles, Elina Arakelyan and Brooke Strieter were ousted by the duo of Maria Mott and Molly Secord of SUNY Broome 7-6,6-3 in the Round of 16. The duo will face Danielle Behunin and Kathleen Mai of Hudson Valley CC in the consolation tournament. Rockland is currently tied with Ocean County and SUNY Broome at sixth place.